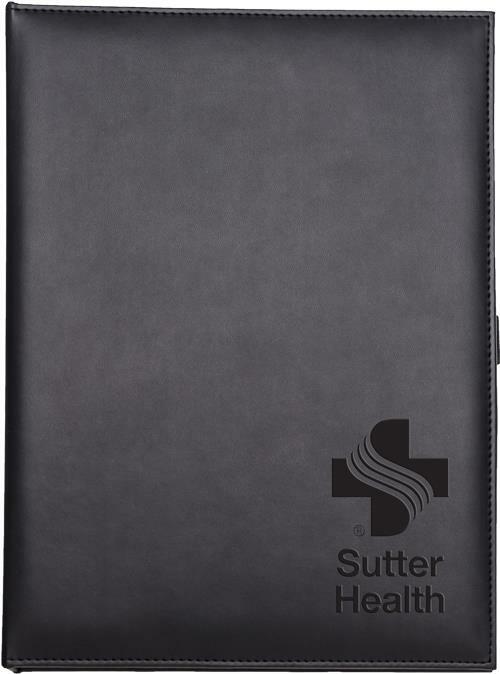 7 7/8" x 10 3/4" refillable leather-like padded case with a 7" x 10" journal inserted, debossed. Imported Case. 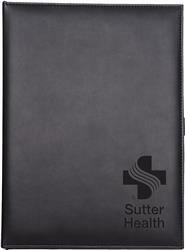 7 7/8" x 10 3/4" refillable case with padded leather-like cover, debossed. Includes ribbon marker, business card pocket, and elastic pen loop. 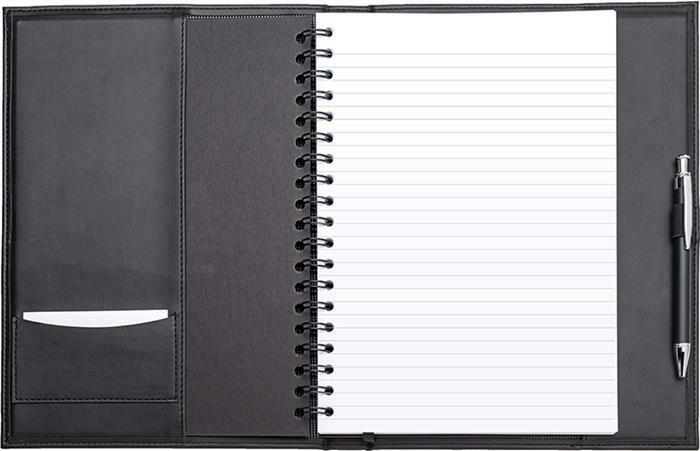 Inserted 7" x 10" journal has 80 lined sheets with double pocket inside back cover. Add a dynamic pen - see additional options for details. Production Time: 7 working days after final proof approval.